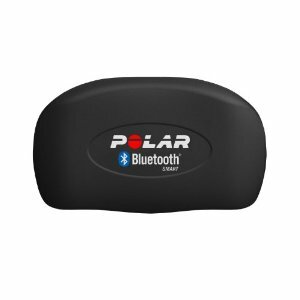 The Polar Bluetooth Heart Rate Belt is designed to get your heart rate information in real time on your compatible mobile phone. It allows you to track your exercise progress whilst also allowing you to set yourself training goals. 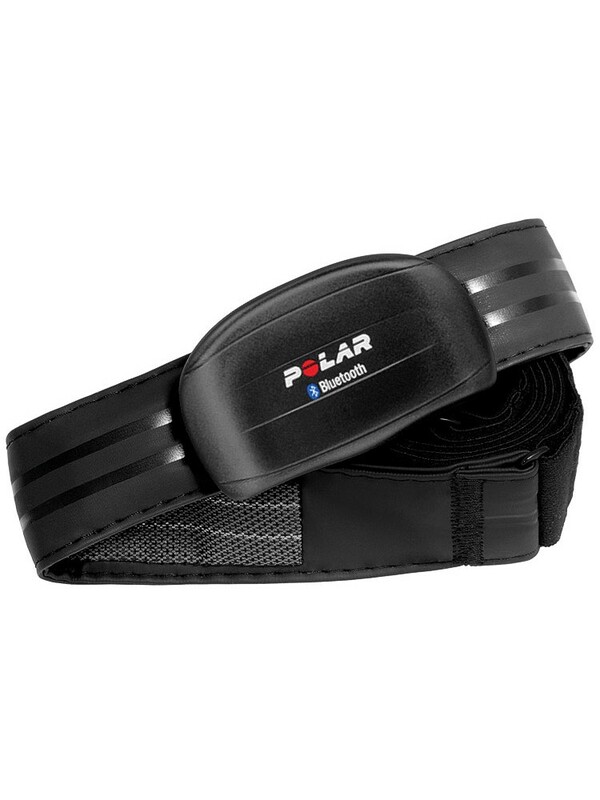 The Polar Bluetooth Heart Rate Belt comes with an adjustable strat which allows you to wrap it around your chest and the heart monitor can be simply clipped on the belt using the press studs. The special material used offers a comfortable fit and doesn't cause irriation, and the waterproof material used for the strap means you can wash it so its always ready for when your next training session is. 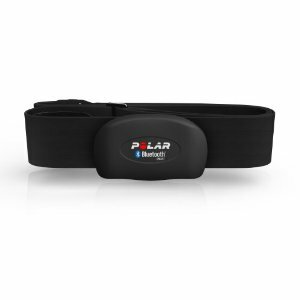 The Polar Bluetooth Smart Heart Rate Belt is designed to get your heart rate information in real time on your compatible mobile phone. Designed for athletic environments, the Suunto Memory Belt records data on an integrated memory chip for downloading and analyzing at a later time. Self-contained, easy to operate and virtually maintenance-free, the Suunto Memory Belt can be successfully utilized by team and individual athletes, as well as wellness professionals, with minimal instruction or fuss. As a recorder, the Suunto Memory Belt gives you the freedom to train and record heart rate data in environments where the use of wrist heart rate monitors is challenging or forbidden. Ideal for swimming, team sports, and patient monitoring, the Suunto Memory Belt can record more than 24 hours of training sessions without losing a beat. After downloading the data, an athlete, trainer, or physician can analyze and log it using PC software to receive detailed information based on heart rate variation. 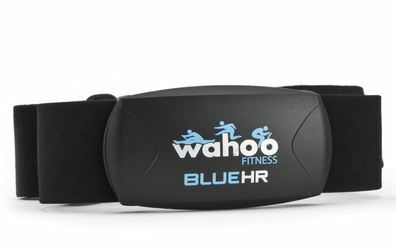 Wahoo BlueTooth Heart Rate Belt is the first Bluetooth Smart heart rate strap made for the iPhone 4S (and other Bluetooth Smart Ready devices). This heart rate strap combination transforms your iPhone into an all-in-one training device, great for runners, cyclists, and other fitness enthusiasts. 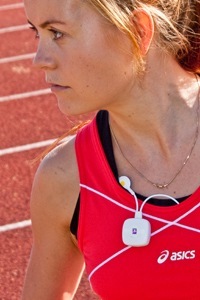 Wo BlueTooth Heart Rate Belt connects wirelessly to the iPhone 4S without the need for any adapters and delivers accurate real-time heart rate data. With the Wo BlueTooth Heart Rate Belt and your QAthlete App, you now have your heart rate data, your playlists, your phone, GPS maps and more -- all in one device! This device will not work with the iPhone 3G, 3GS or 4. 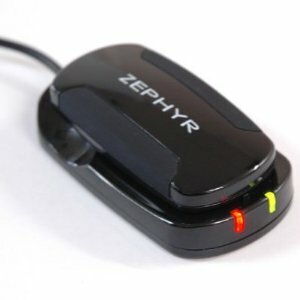 It is a heart rate monitor and speed and distance sensor that sends data to a mobile device via Bluetooth ® transmission. It can be used with any compatible mobile device with application installed to give realtime heart rate and running speed and distance data. The ZP BlueTooth Belt integrates Smart Fabric sensor technology into fabric-based garment components, capturing high-quality data on heart rate, heart rate variability, speed & distance. The ZP BlueTooth Belt is comfortable, robust and able to withstand extreme movement. Fabric sensors are easily incorporated into garment manufacturing processes. 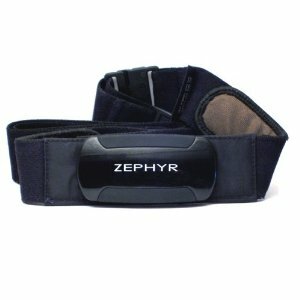 The ZP BlueTooth Belt has advanced DSP analysis and analogue electronics to extract crisp heart rate data and a 3 axis solid state accelerometer. In the HW3 system, the athlete wears a comfortable heart rate belt employing simple ECG data measurement and HRV analysis. The heart beat signals are transmitted from the belt to a small electronic pod called HW3. HW3 pod records data on an integrated memory chip for downloading and analyzing at a later time. This unit can also be connected to the computer by way of USB cable. The resultant information can be used for real time assessment or downloaded and to a PC and logged for later analysis. Designed for athletic, educational and wellness environments, the HW3 pod can be successfully used by athletes, fitness enthusiasts and physical education participants with minimal instruction or fuss. Ideal for swimming, running, cycling or walking, the HW3 pod can record more than 24 hours of training without missing a beat. After downloading the data, an athlete, trainer or researcher can analyze and log it with QAthlete software and receive detailed information based on heart rate variation. 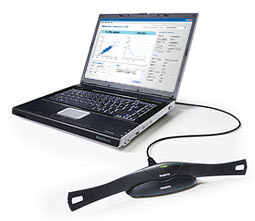 HW3 pod can also be used for Athletic Training Assessment (15min measurement).